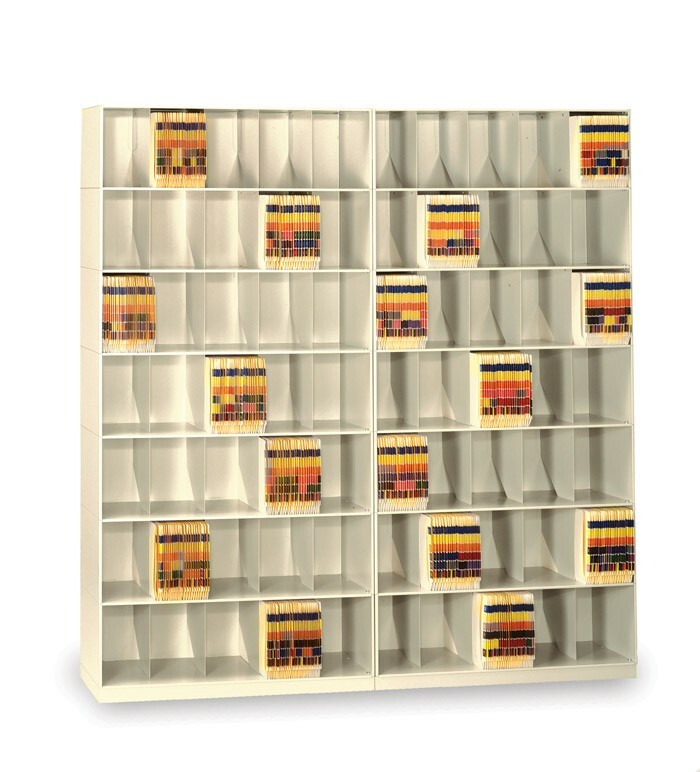 Our stackable shelving is a perfect solution for open-shelf filing needs. Designed to be used in conjunction with color- code end tab folders, our stackables come with fixed welded dividers and a sleek profile, making it an ideal choice for letter and legal file storage. Individual modular tiers can be stacked up to eight levels.